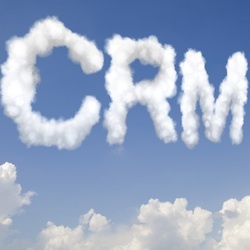 Looking for a Microsoft Dynamics CRM alternative? The larger, enterprise solutions aren’t always the best fit, and we’ve moved many customers to Workbooks from Dynamics. Here are some of the reasons why our customers picked Workbooks – and so should you. It couldn’t be easier to migrate to Workbooks from Microsoft Dynamics. Microsoft CRM provides good export tools and Workbooks has a powerful importing tool, making the mapping of data very straightforward and allowing customers to import all record types. Many of our customers are able to migrate their data and setup and the system themselves, or alternatively, we can provide you with the implementation support you need to migrate from Dynamics and set up the system. Microsoft Dynamics is only available via Dynamics resellers and for many customers, the level of support they have received was the driver to switch. In a digital age, we understand that your team need to be able to work remotely. Workbooks is a cloud based CRM solution so whether you’re on the road, in a customer meeting, working from home or at the office, you can log in anytime and access the full range of CRM functionality. With Workbooks there is built-in mobile access as standard; including iPhone and Android access. At Workbooks, we pride ourselves on the fact that we have a lot of happy customers who report high levels of user adoption and success rates. In the CRM analysis carried out by G2Crowd.com, a new challenger to the Gartner ‘magic quadrant’ that is based on feedback from customers, Workbooks comes out ahead of some of the larger brand names, including Microsoft, in a number of categories. Our product is undergoing constant development by our in-house team of engineers and we publish our short term roadmap on our website, so you know what new functionality is coming next. Importantly, we provide a forum for our users to suggest ideas for new functionality and vote on which ideas they like best. After all, in many cases, our customers have the best ideas on how to improve Workbooks.